Ever since they first met, they liked each other. This remarkable friendship shows that different species can build unbelievably strong relationships. These two were able to see past the feathers and fur and realize there is someone inside that strange body in front of them. Through mutual respect and affection, they learned to communicate with each other, care for each other and rely on each other. In this lovely video we can see how the two play in perfect harmony and how the duck tries to groom the dog's fur. Animals show their strong love to the humans who care for them. This is surely one of the most beautiful animal videos you will ever see. This wondrous video features a compilation of truly happy animals as they run, jump, play and enjoy life! So many emotions of warmth and love in one video. When all hope was gone, these animals were set free! Their reactions may bring you happy tears. This wonderful video of friendships between children and animals will surely warm your heart. A magical video of animals who play with a ball as if they were little kids! A goose sprints to hug his human mother while screaming in joy. This is surely one of the most heartwarming videos ever caught on tape. Watch the amazing freedom dance of Hope, a mother pig who was rescued together with her 6 piglets. 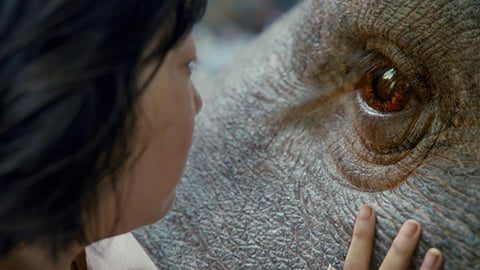 OKJA is one of the most important films today. This is a heart touching trailer that we have edited for this magnificent film. Fadjen the bull was destined to die in a fighting ring, but then he was rescued by a kind man. Watch this markedly majestic bull play and enjoy life in his new home. Even though each species communicates in a different way, it is easy to see that the animals in this video are enjoying themselves! The bond that mothers from all species share with their children is particularly strong. This heart touching video provides a rare look into motherhood. Ever Wanted to Cuddle a Cow? A lot of people think only dogs and cats like to cuddle, but that is not true. Let the cows in this video tell you how much they value affection. While headed to slaughter, this brave cow managed to do the impossible! 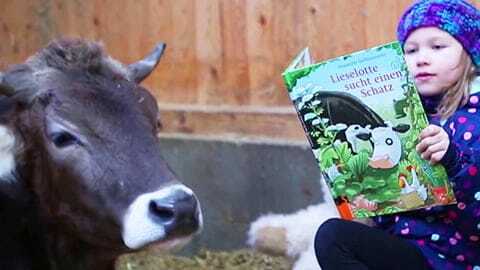 This lovely video may cause you to want to rescue a cow yourself! Diane the rescued cow is truly happy being in Farm Sanctuary. Watch her dance in joy when she sees the person that rescued her from a dairy farm. Miguel the rescued pig expressing his joy while sharing hugs and kisses with his human father. These adorable pigs are so smart that they figured out how to use the muddy grass as a slider! Meet Lotta, a true happy cow who loves to play with her Pilates ball all day long. Every day Camus the chicken waits for his friend to get home and then runs as to greet him. This cute video shows not only how adorable goats are, but also how smart they are. 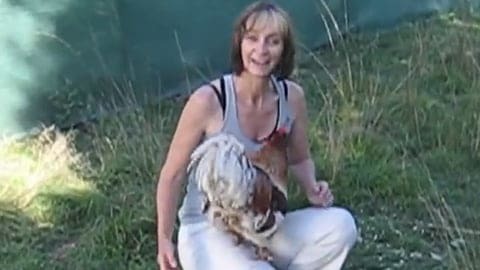 This rooster loves this woman so much, he doesn't want to stop hugging and cuddling her! After more than 18 straight months on an industrial egg farm, watch a breathtaking moment for one lucky hen. Following a life of suffering in factory farms, these rescued animals taste freedom for the first time. Emma the cow was once destined to be slaughtered for meat. 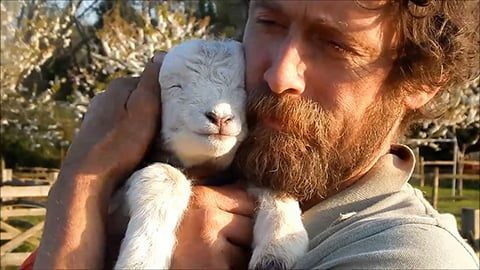 This heart touching video follows her journey to the sanctuary. A lovely video with an unusual couple: a dog & a duck. These two best friends love to play together while enjoying the company of each other. Watch some of the luckiest pigs in the world while they enjoy their new life. This joyful video will surely bring a smile to your face. This rescued rooster lives at home with a family, a dog & a cat! He is so adorable, that even The Ellen Show shared his story! Meet two adorable girls who were raised on an animal sanctuary since the moment they were born. Luckily, adorable Ginger was rescued from a meat farm when she was just a tiny chick. Since, she is an inseparable part of the family!